I hope everyone had a great October! Happy Halloween (a day early) as well! Anna and Bailey aren't dressing up this year, although I saw quite a few cute pet costumes in the stores, and I was quite tempted! 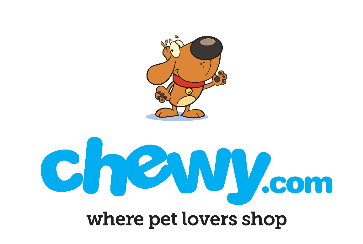 So what a better way to celebrate October, Halloween, and Fall than with a pumpkin theme, which is exactly what Chewy did this month! 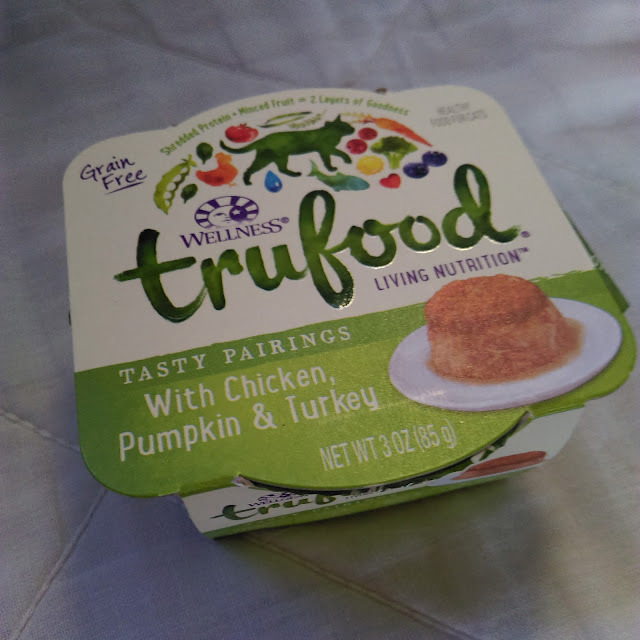 For October Anna and Bailey got to try out the Wellness TruFood Tasty Pairings Grain Free Cat Food in Chicken, Pumpkin and Turkey flavor. 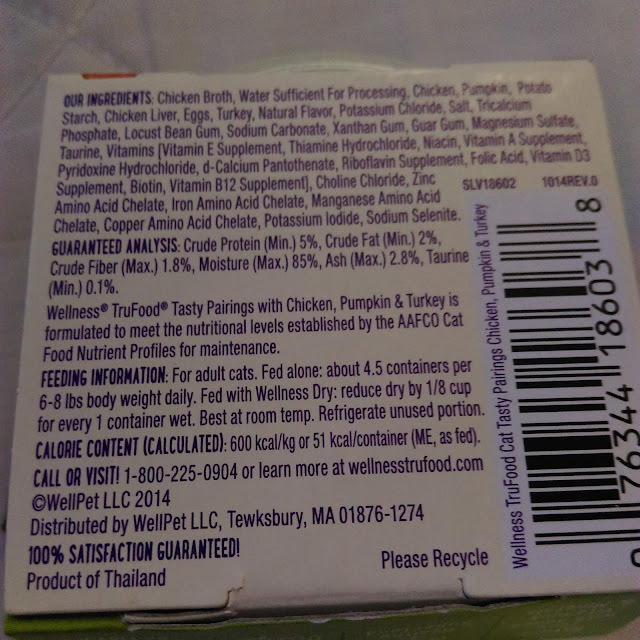 I was a little curious to see how well my cats would like this food since it does have a fair amount of visible pumpkin in it. I have given this to them about once or twice a week for the past 4 weeks. 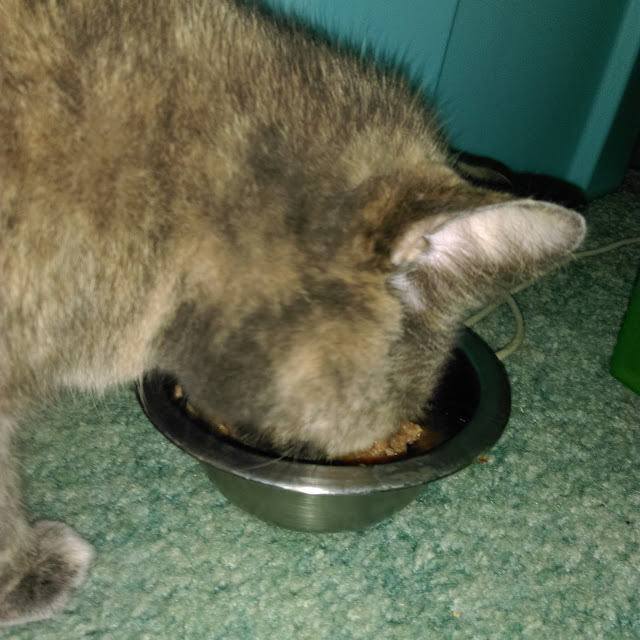 I notice that both cats will lick up the gravy that is in with the food, but won't really eat the food. 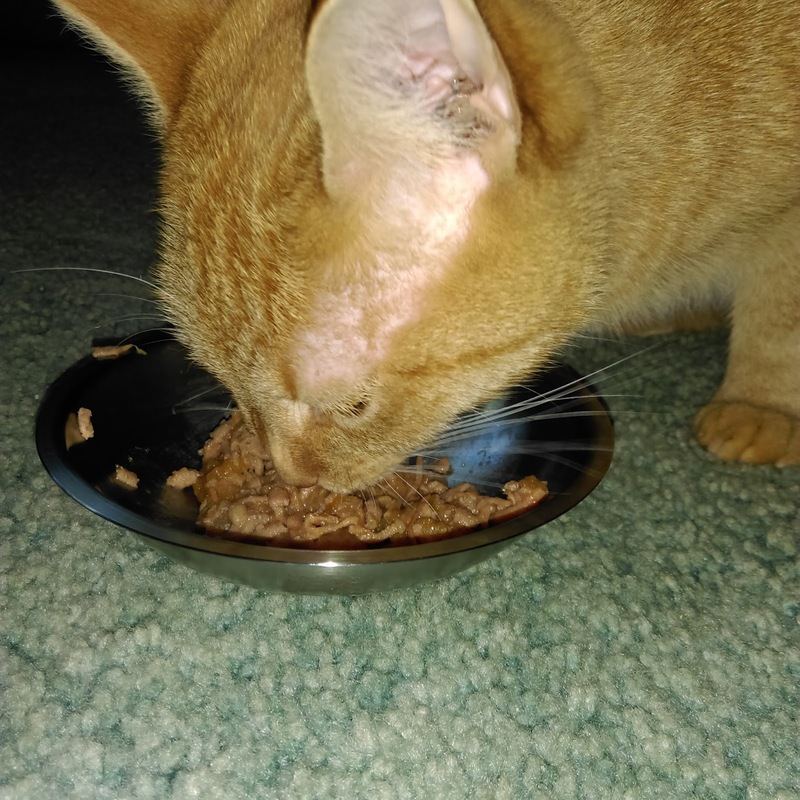 I thought perhaps if I mixed up the food, and combined everything that they might eat it, but they still would just lap up the juice and leave 95% of the food. Unfortunately this month, the girls are giving the Wellness TruFood Tasty Pairings Grain Free Cat Food a 2 paw rating. It just wasn't for them.